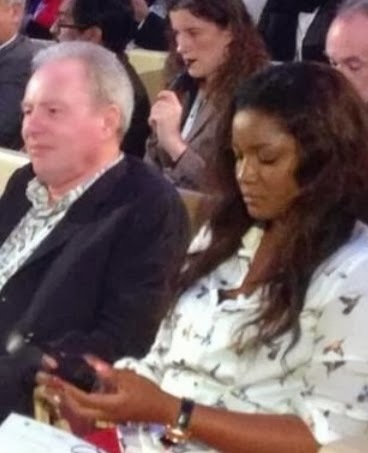 Omotola Jalade Ekeinde is currently in Doha Qatar for an event she was scheduled to speak at. World Innovation Summit For Education 2013 is currently ongoing in Doha and omosexy has been scheduled to speak on Reinventing education for life. She was spotted with former Australian PM Julia Gillard and many other celebrities at the event that will round up on Thursday Oct 31st, 2013. The World Innovation Summit for Education (WISE) was established by Qatar Foundation in 2009 under the patronage of its Chairperson, Her Highness Sheikha Moza bint Nasser. education. Through both the annual Summit and a range of continuing programs WISE is promoting collaboration and building the future of education.